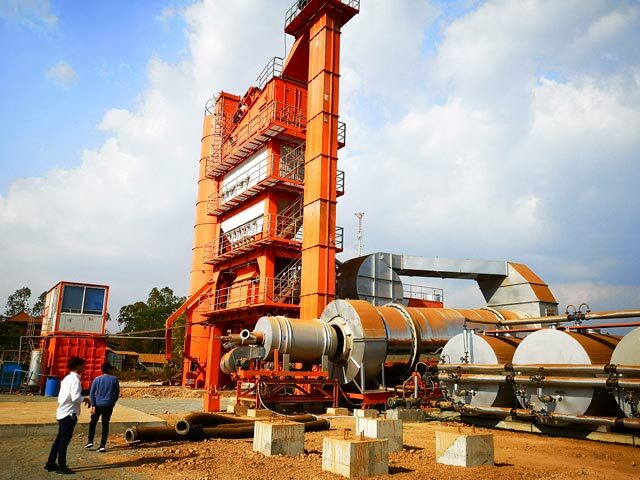 ZAP-S320 320T/H Asphalt plant drying drum is hoisted. The drum is made of boiler steel plate. It is insulated by thermal insulation layer and packed with mirror stainless steel. 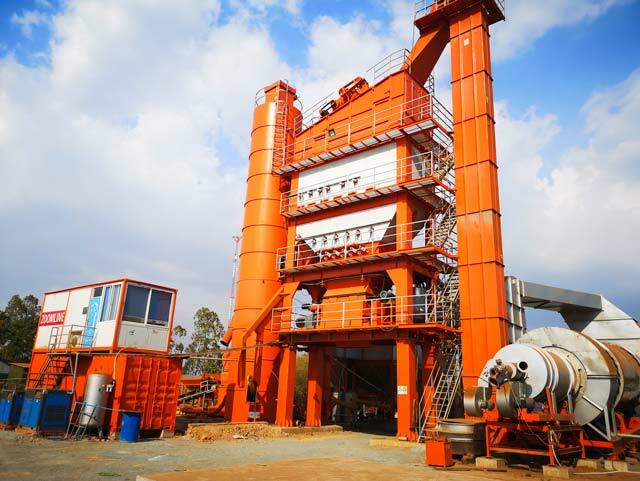 The bag filter is hoisted, ZAP-S320 asphalt mixing plant adopts a double bag filter. The dust removal area is larger and the dust removal effect is the best. At the same time, it is convenient for transportation and installation. ZAP-S320 Asphalt mixing plant control system adopts PLC+ dual computer control, office operation platform, with report printing, recipe storage and other functions. With modern configuration such as remote fault detection and on-site monitoring, it is easy to operate and maintain. The control adopts dual air conditioning and strong electric electric dual-zone distribution. Butimen system: Butimen is heated by thermal oil, and butimen tank is packed with thick insulation. The butimen pipeline is double-layered and externally packed with insulation to minimize heat loss and save operating costs. 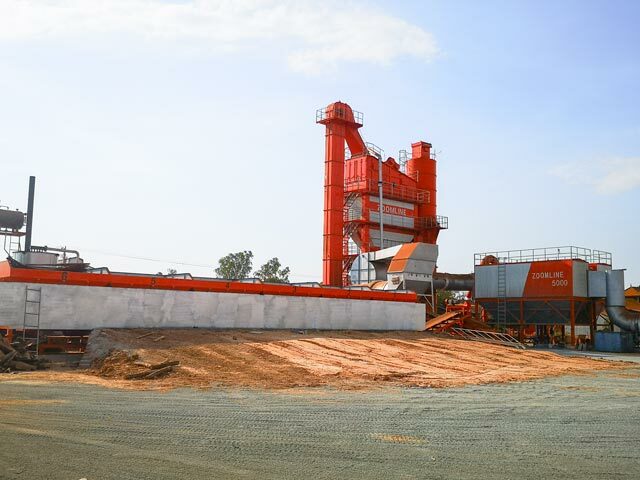 Mixing tower: 6+1 hot aggregate silo design; high and low level gauge to detect materials; the outside of hot aggregate silo is insulated to prevent heat loss. The hot aggregate discharging adopts double cylinder and double material door design make the measuring precision is greatly improved.